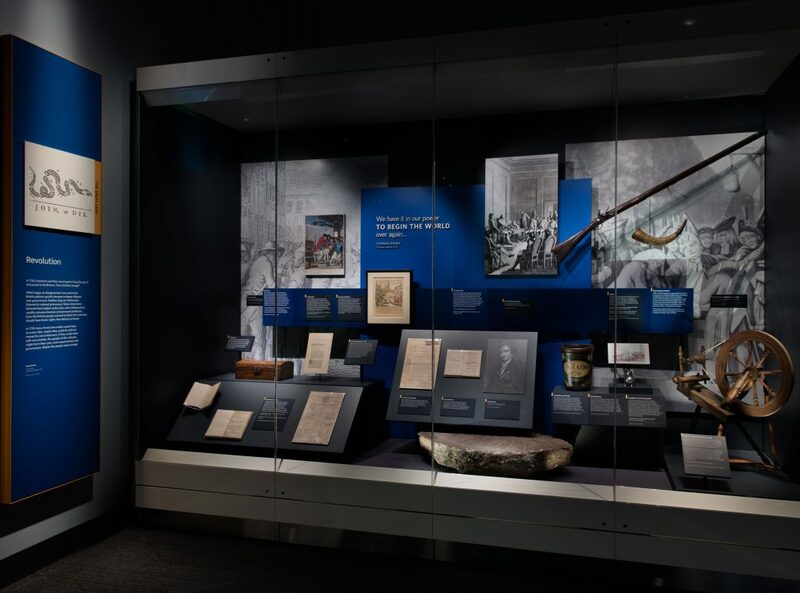 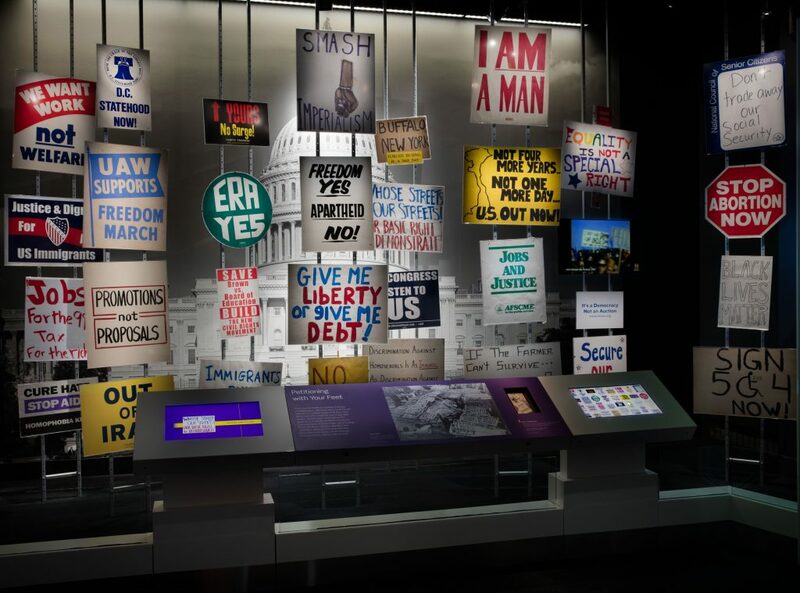 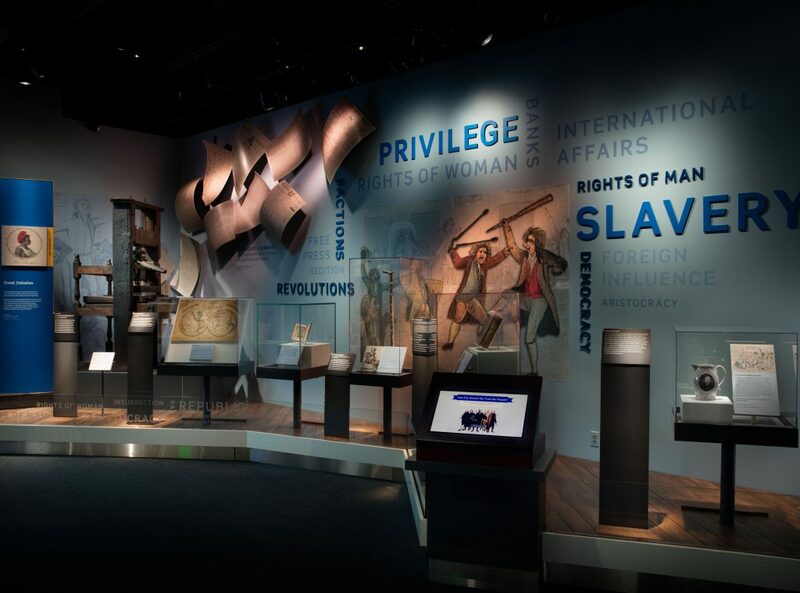 Cinnabar served as the primary exhibitions contractor for three of those four exhibitions: Concourse, “American Democracy: A Great Leap of Faith” and “Many Voices, One Nation,” totaling just over 15,000 sq. 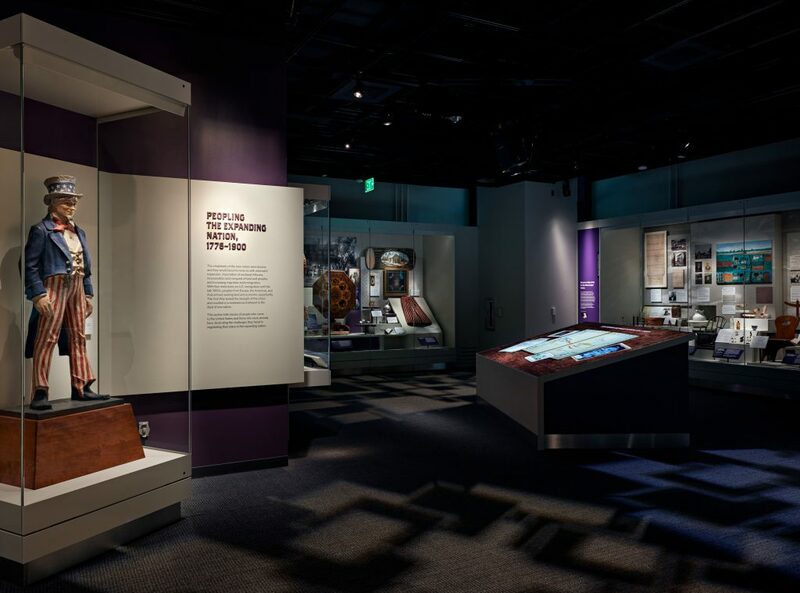 ft.
American Democracy explores the history of citizen participation, debate, and compromise from the nation’s formation to today, while Many Voices shows how the many voices of the American people have contributed to and continue to shape the nation and its communities, from its earliest beginnings to the present. 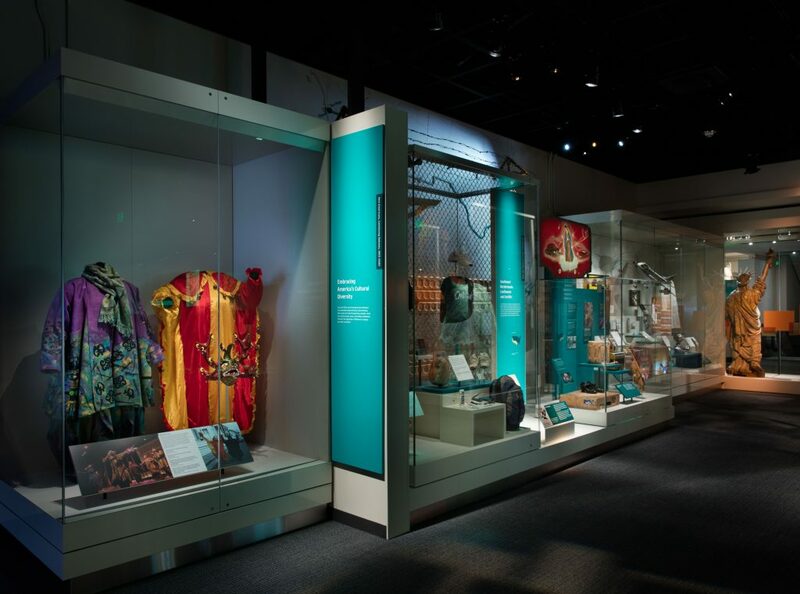 The galleries were designed by Haley Sharpe Design. 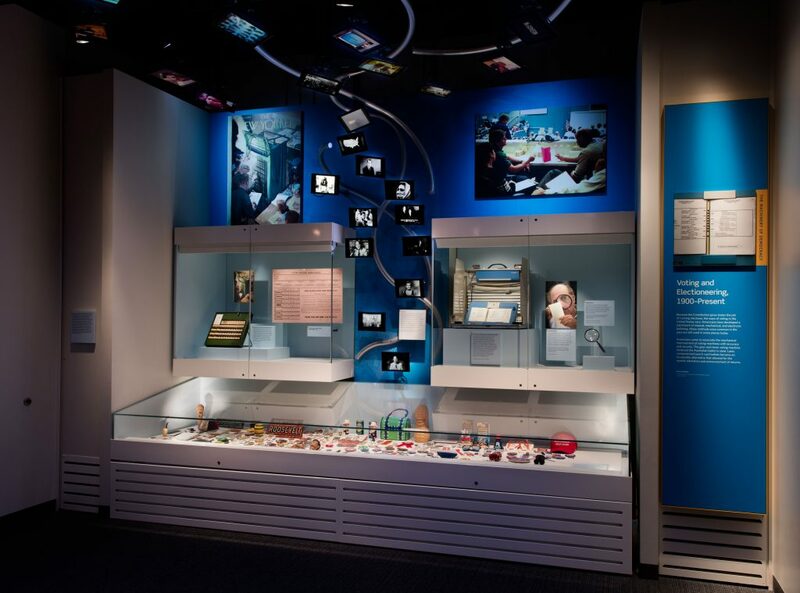 Cinnabar sub-consultants included: Zone Display, Electrosonic, Brigid Mount-making, Barbizon and Mona. 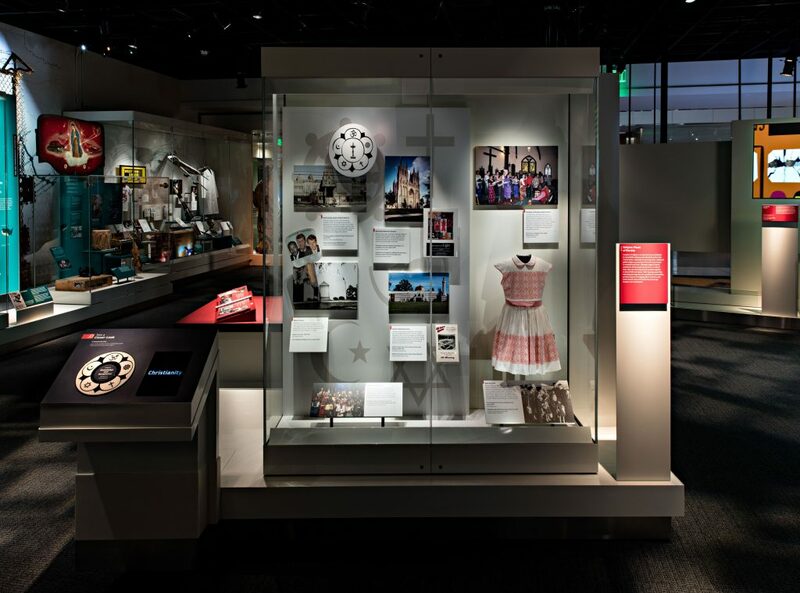 Photos are courtesy of the National Museum of American History and cannot be copied, used or disseminated.